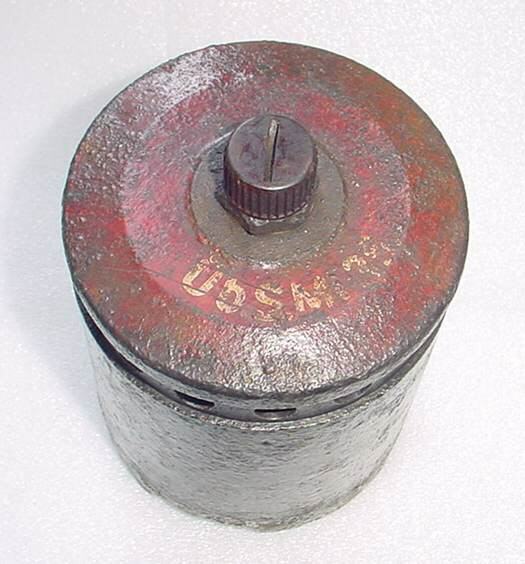 The practice S-Mine was made of machined steel. 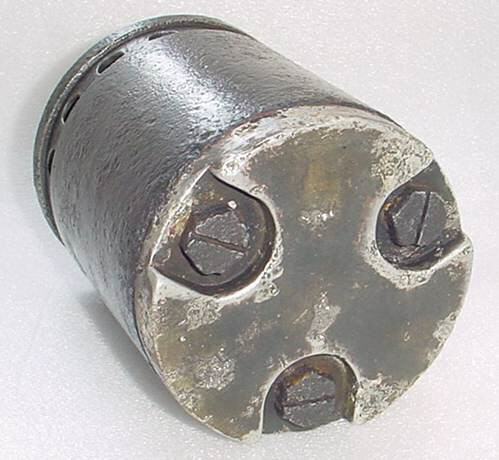 The base was made of aluminium and was fixed with 3 bolts. There were ventilation holes around the top. 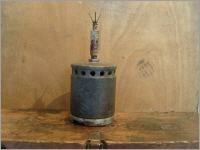 This mine was charged with a smoke pellet on the inside, and a fuze was screwed on top. 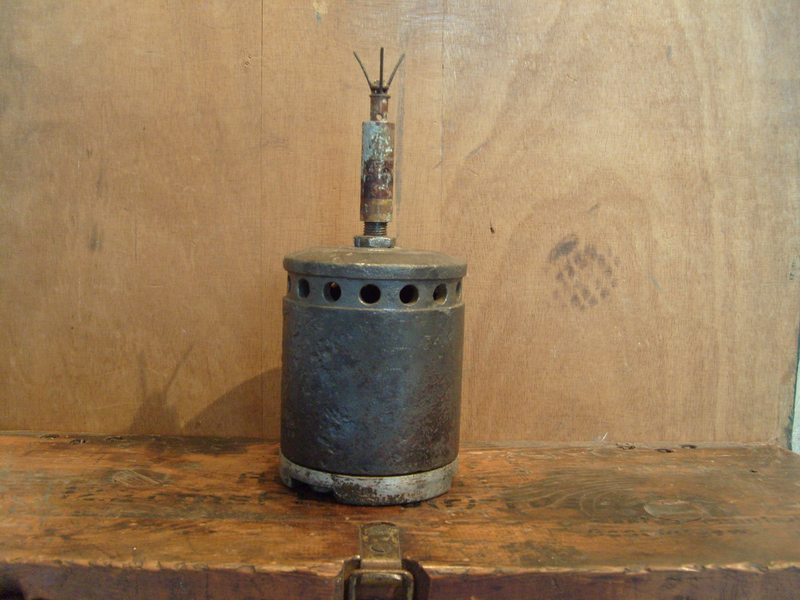 With the use of an adapter there could be 2 or 3 fuzes fitted. 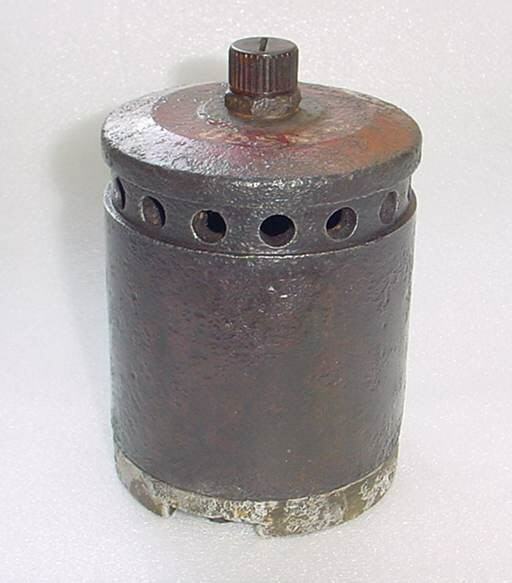 When the fuze or fuzes ignited the charge , smoke emitted from the ground indicating that the mine was fired.